Ms. Sandberg — who was at the forum, but was not present for Mr. Soros’s speech, according to a person who attended it — asked for an examination into why Mr. Soros had criticized the tech companies and whether he stood to gain financially from the attacks. At the time, Facebook was under growing scrutiny for the role its platform had played in disseminating Russian propaganda and fomenting campaigns of hatred in Myanmar and other countries. Facebook later commissioned a campaign-style opposition research effort by Definers Public Affairs, a Republican-linked firm, which gathered and circulated to reporters public information about Mr. Soros’s funding of American advocacy groups critical of Facebook. Those efforts, revealed this month in a New York Times investigation, set off a public relations debacle for Ms. Sandberg and for Facebook, which was accused of trafficking in anti-Semitic attacks against the billionaire. Facebook quickly fired Definers. The people with knowledge of Ms. Sandberg’s email asked for anonymity because they weren’t authorized to discuss the message and feared retribution. In a statement, Facebook said that the company had already begun researching Mr. Soros when Ms. Sandberg made her request. “Mr. Soros is a prominent investor and we looked into his investments and trading activity related to Facebook,” the company said. 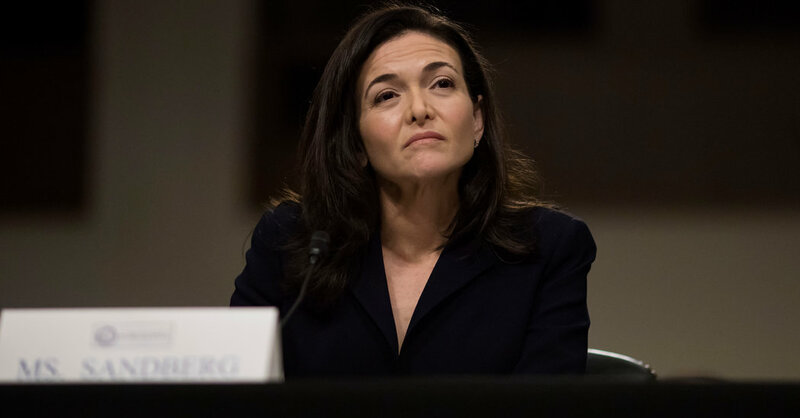 “That research was already underway when Sheryl sent an email asking if Mr. Soros had shorted Facebook’s stock.” The company said that while Ms. Sandberg “takes full responsibility for any activity that happened on her watch,” she did not personally direct any research on Freedom from Facebook, an anti-Facebook coalition whose members were among the subjects of Definers’ later work. Eddie Vale, a spokesman for Freedom from Facebook, said he was skeptical of the company’s account. The revelation complicates Ms. Sandberg’s shifting explanations of her role in Facebook’s decisions to hire Definers and go on the offensive against the social network’s growing legion of critics. Ms. Sandberg at first denied knowing that Facebook had hired Definers, before acknowledging in a post last week that some of the company’s work for Facebook had crossed her desk. In that post, Ms. Sandberg did not explicitly deny that she had asked for research into Mr. Soros. Instead, a deputy who oversaw the communications team but is now leaving the company, Elliot J. Schrage, took responsibility for hiring Definers and initiating Definers’ investigation into Mr. Soros. It is unclear what, if any, involvement Ms. Sandberg had in that ultimate response to Mr. Soros. Facebook has defended its inquiries into Mr. Soros as a prudent and necessary step for any public company under attack by a high-profile figure — particularly one like Mr. Soros, a onetime currency trader who made a fortune in the 1990s betting against the British pound. But the revelations are likely to escalate pressure on Ms. Sandberg, an embattled Silicon Valley star and feminist author. The Times investigation found that Ms. Sandberg and Mark Zuckerberg, Facebook’s chief executive, had ignored warnings about abuse on the platform and sought to conceal from public view evidence that Russia had used it to disrupt the 2016 presidential campaign and help elect President Trump. The Times also found that when Facebook was confronted last spring with revelations that the privacy of tens of millions of users had been compromised by Cambridge Analytica, a Trump-linked data firm, Ms. Sandberg and Mr. Zuckerberg sought to downplay the problem and deflect blame. But it is Ms. Sandberg who oversees Facebook’s policy and communications arms, which starting last year embarked on a hard-edged lobbying campaign to discredit the company’s critics and push back on the growing chorus of voices calling for Facebook and other big tech companies to be broken up or more tightly regulated. Some have called on Ms. Sandberg to be fired. Last week’s admission by Mr. Schrage — a Sandberg confidante who announced in June that he was leaving the company — was widely viewed inside and outside the company as an effort to insulate her from damage. Facebook hired Definers last year to monitor media coverage and then expanded its role to include campaign-style research and other public relations work. In a private meeting on Thursday, Ms. Sandberg again distanced herself from Definers and its research into Mr. Soros, according to Rashad Robinson, head of the racial-justice group Color of Change, which was named in a Definers memo about Mr. Soros. Mr. Robinson said that while meeting with Ms. Sandberg, she denied hiring Definers or directing the firm’s research. “She very much placed it on the now departed communications chief” — Mr. Schrage — “and also worked to assure us that Joel Kaplan had nothing to do with it either,” Mr. Robinson said. Mr. Kaplan is the company’s vice president of global public policy. Mr. Robinson said he was pleased Ms. Sandberg had agreed to release a progress report on a previously announced internal audit into how Facebook’s policies affected minority users and employees. But when he pushed for more on Facebook’s involvement with Definers, Mr. Robinson said, Ms. Sandberg kept stressing that Facebook had fired the firm. “We were not satisfied with that answer,” he said.